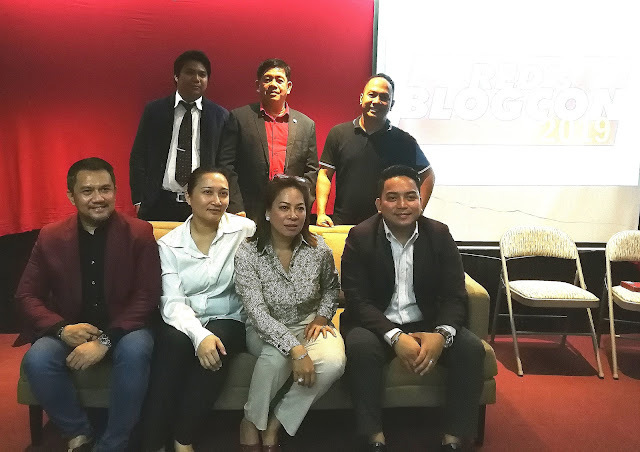 There are a lot of Networking or Multi-Level Marketing Company in the Philippines that offers various products and services, each claim they have the best and quality products one can invest and turn that small amount of money into millions. 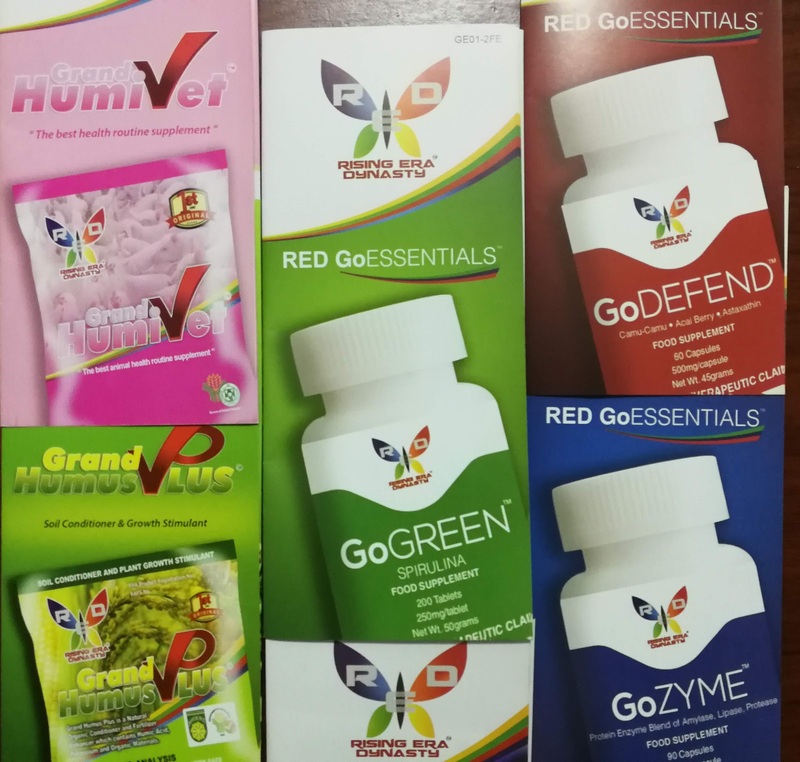 Rising Era Dynasty (RED) is the newest player in the country that distributes natural and organic high-quality nutritional products in a holistic approach, they attack on the root cause of all humans basic needs, the food on how it was planted, grow and propagates, meaning they offer fertilizers, new kind of agriculture technics one can earn and at the same time offers wellness and life longevity. RED started in 2012, however they just re-brand the company just last 2018 as networking player where many believe it is one easy way to earn your money in multiple times depends on your market reach, during its first Blogcon last April 6 at the Burgundy Empire Tower in Ortigas Center, the people behind RED showcases the best well research and innovative products that can compete to other networking brands that exist many years in the industry, they all believe that what they have are not just innovators for well-being, rather it is essential as a trailblazer for the future of mankind. But why MLM? If you have the best products you can go directly in marketing and selling it like the traditional way of marketing and promotion, here is what they say. “In traditional distribution of products only the middle man and manufacturer are the ones earning in the business, while in the networking we go away with the middle men and the distributors themselves directly earns from the effort that they did in promoting the products that they had, in networking platform the recipient of the income is more profound, it can be in a form of hundreds or millions, while in the traditional distribution channel the income is limited, that’s why we opted this wonderful products thru networking platform because a lot of people will earn from this business model” said by Sam Ortega, Vice President for Marketing and Training of RED. RED CEO and President Jayant Jared Era agree with Ortega’s statement, he acknowledge those big players in the networking industry that exist until now, those are the one who pave the way for them to do the same with no wrong notion, and networking is now acceptable as a business with no doubts of losing and gaining nothing. “I believe sa ganitong industriya, I’ve never seen an industry that made so many millionaire’s, I’ve been to Hotel and Restaurant industry, been to Banks, but I’ve never seen an industry that made many millionaire’s in a very short span of time, nakatulong sa maraming tao mula sa pinaka-mababa at pinaka-mataas, but our products right now, there is a great a chance that we can be number one in this industry.” Era said. 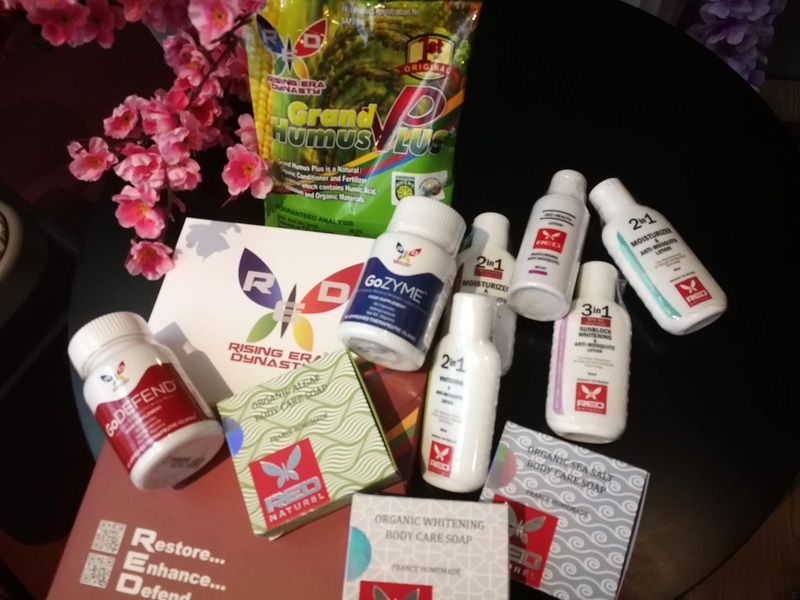 RED Top selling wellness products are the GoEssentials comprising of RED GoGreen, RED GoZyme, and RED GoDefend, they have a line of beauty products too like Organic soap bars, RED Natural Organic Whitening Soap, RED Organic Sea Salt Soap, and RED Organic Algae Soap. For Agricultural innovations intended as solutions for soil and plants, they have Grand Humus Plus and Grand Humivet for livestock. In support for Malaria Free Philippines they have Anti-Mosquito lotion that can help eliminate mosquito borne deseases such as Dengue, Zika Virus, Malaria and Chikungunya. For GoGreen, RED is tie up with NaNUSci, Inc, a pioneer producer of highest quality of Spirulina (Micro-Algae) that is develop into a food supplement and provides a lot of minerals needed by any human body. While their newest product, the Anti Mosquito Lotion is manufactured by Kyzox Technology by Dr. Francois Martin. One thing I am impress with RED is their unsolicited advocacy of getting people back to farming, there are datas saying that farmers now in the Philippines are mostly in old age, RED products are letting the young ones think of harvesting their own land, cultivate and harvest using Grand Humus Plus, Era said they are connecting thru cooperatives and assist them in training using organic methods of soil conditioner and growth stimulant, not only in the Philippines but globally. “By doing seminars and traininings, na-educate natin yung mga younger generations na ayaw ng magtanim, ayaw na nila mag tanim kasi masyadong matrabaho, magastos tapos pag tinamaan pa ng sakuna lahat wala talaga, by encouraging the younger generations na may pera sa farm like Thailand, Vietnam, Japan and Korea na-encourage namin sila bumalik, and marami tayong mga kababayan na OFW na umuwi na, nag resign sa Hongkong, now they are cultivating their farm na mataggal ng naka-tengga, yung iba nag baboyan na, nag kambig, nag-bakahan na and they are doing good right now.” Era said in closing. For more information about Rising Era Dynasty you can visit their office at 11th Floor Suite 1111, AIC Burgundy Empire Tower, ADB Avenue corner Garnet and Sapphire Roads, Ortigas Center, Pasig City. You can call them at (+632) 234-5188, or check their website www.redinc.net email at info@redinc.net and follow them at Facebook Red Rising Era. The world of Seven Seas in Northern Mindanao.